Located just 10 minutes from the Liuting Int. 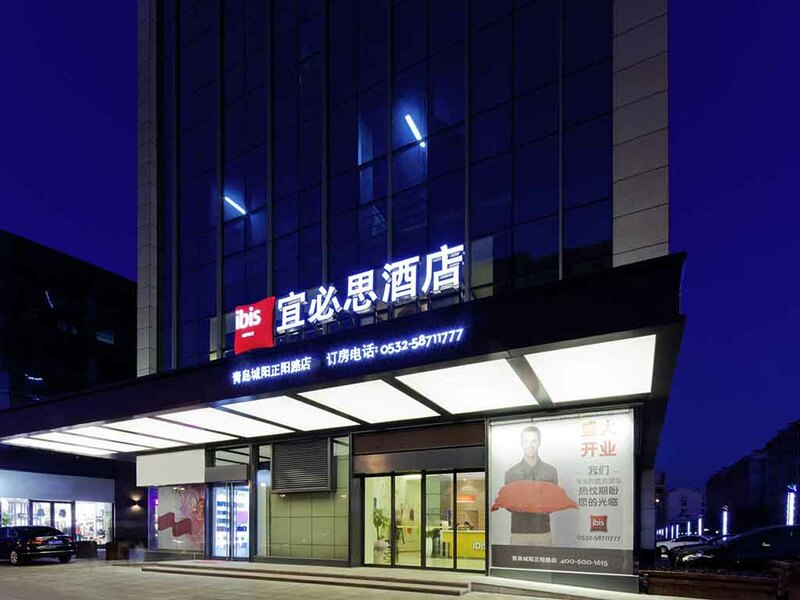 Airport, ibis Qingdao Chengyang Zhengyang RD at Times Square Center is in the center of Chengyang's Business district, surrounded by restaurants, bars and shopping malls like Walmart, Li Qun and JJ Yuan. The hotel also provides easy access to Laoshan and Qingdao's seaside. The 150room hotel features free WiFi, a Café, Restaurant, Bar and a 24hour snack service. The best choice for your next holiday or business trip. The pleasure of good food à la carte. Meal times throughout your stay means the chance to discover the culinary stops of our ibis restaurants, ready to receive you 7 days a week, 365 days a year, every night open at least 7:00 p.m. to 10:30 p.m.